Today there are several vaporizers in the market, whenever you go shopping for one you find yourself looking at several brands to choose for. 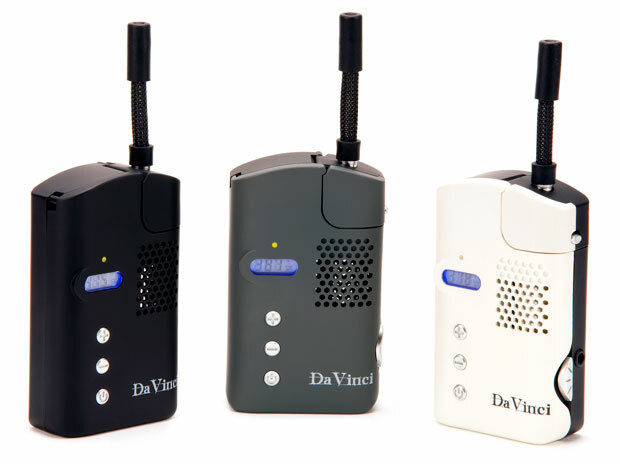 One of the common brands is the DaVinci vaporizer. For those who do not know much about it, here are some of the features of the DaVinci vaporizer that make it one of the best vaporizers in the market today. First and foremost the vaporizer is made to be small and portable. Although portability is not an issue with most modern vaporizers, this particular vaporizer is made not only to be portable, but to perfectly fit in your pocket. Unlike other vaporizers, once you put it in your pocket there will be no unnatural bulges in your pocket that will draw attention to what you may be carrying. It is perfectly discreet and comfortable. The second reason why you should pick the DaVinci vaporizer is the fact that it has a digital temperature control. It is a well known fact, particularly those who are not new to aromatherapy, that every different substance has its own different heating temperature. This means that for your aromatherapy session to be beneficial you must heat the different substances to just the right temperature. The temperature control in the DaVinci vaporizer allows you to perfectly set the correct temperature for your herbs and oils. Other reasons why you this vaporizer over any other is the fact that it has dual vapor chambers; this means that you can have more than one substance in your device at any one time. Also, because of the continuous use of oils in aromatherapy, the DaVinci portable vaporizer comes with an included support for essential oils. This device is also very easy to use. The use of a straw provides a safe way of inhaling the vapor. Another important feature is the fact that the battery is rechargeable and you do not have to buy new batteries every now and again.